Many of the world’s hotels occupy buildings with historical, cultural and architectural importance. These hotels and resorts deserve attention on their own merits, rather than as just places to park your suitcase. Geotourist hosts audio tours of some of the world’s most renowned hotels. If you’re in any one of the cities where these hotels are located, take an audio tour to learn about their stories. Even if you’re not staying at the hotel, you have a good excuse to visit and grab a drink or a bite in surroundings that will enrich your experience. 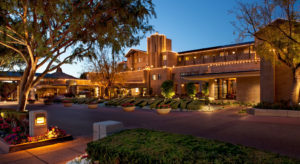 Arizona Biltmore: This resort is one of the few properties in the world with the imprint of the great American architect Frank Lloyd Wright. 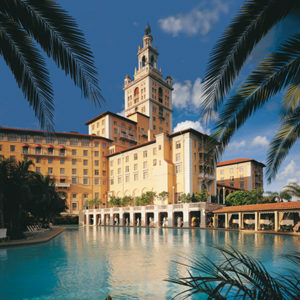 The Biltmore Hotel, Coral Gables, FL: The actor who played Tarzan, Johnny Weissmuller, was a swimming instructor at The Biltmore pool and broke world records here. 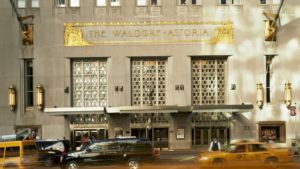 The Waldorf Astoria, New York: Learn about this Art Deco landmark on Park Avenue, that has hosted many Hollywood stars and state leaders. 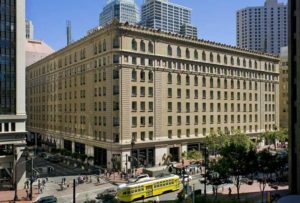 The Palace Hotel, San Francisco: Take an audio tour of this opulent hotel in a tour curated by AIA San Francisco. 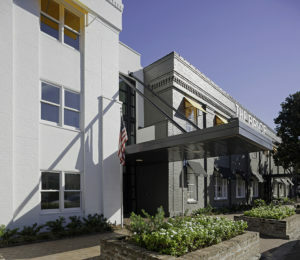 The Brice, A Kimpton Hotel, Savannah: Once a Coca Cola bottling plant, this hotel is in the heart of Savannah’s National Historic Landmark District. 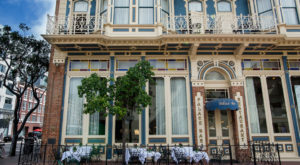 Horton Grand Hotel, San Diego: Once frequented by Wyatt Earp, this hotel is included in our tour of the Historic Gaslamp Quarter. 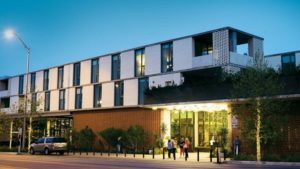 South Congress Hotel, Austin: Learn about the architecture of this contemporary hotel in a tour curated by AIA Austin. 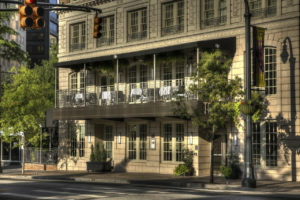 The Ellis, Atlanta (Winecoff Hotel): Find out how this building led the way for fire safety regulations in the US. To access the audio tours, download the free Geotourist app through the app stores below.